Share this short video with your supporters – it explains in less than 60 seconds how easyfundraising works and how simple it is to help support your cause every time they shop online – but at no extra cost to them. Top tip: For your first few weeks with easyfundraising, post this video once a week. The more that supporters see it, the more it will help them to understand and become familiar with the concept of shopping online/raising for your cause. 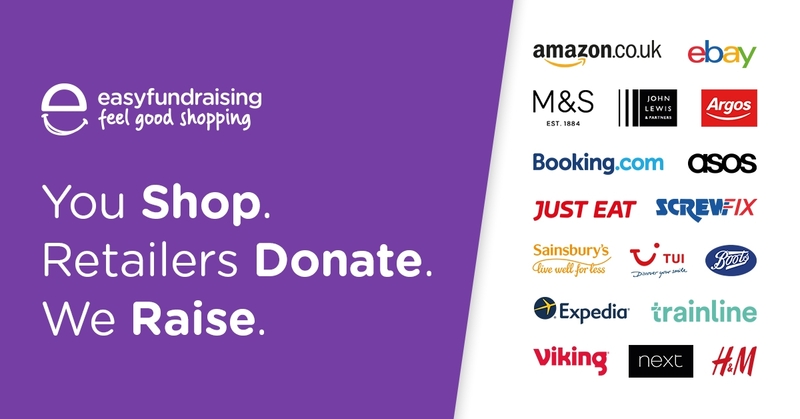 This will also help your supporters who have already signed-up to remember and get into the habit of using easyfundraising every time they shop, so you don’t miss out. Share this image on social media to help you sign up new supporters to raise donations for your cause when they shop online. Share this video with your supporters so that they can quickly learn how to get started and begin raising free donations via easyfundraising.